Does Ranking at the Top Guarantee New Patients? 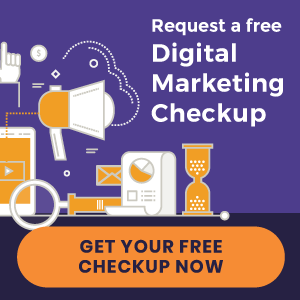 There are still many SEO firms that will guarantee top rankings for your chiropractic website – while indicating that rankings alone will ensure new patients. The sales pitch goes something like this: “If you rank number one on Google, you’ll instantly become the go-to chiropractor in your area.” These often-used claims are intended to lure businesses with too-good-to-be-true promises. Are Page One Rankings the Key to Getting More New Patients? No. In fact, rankings, if misinterpreted, can be a meaningless marker. The fact is your position in search alone doesn’t automatically translate into new patients. Content, website design, which keywords you rank for – there are many factors that determine the success of your online efforts. After all, if the keywords you’re ranking for aren’t bringing the right kind of visitors to your website, you won’t reach your end goal: to generate new chiropractic patients. Are your website visitors expressing interest in your services? Are they qualified prospects that live or work within driving distance of your practice? Is your website designed to engage visitors, and ultimately convert them into new patients? You can see, there are much better ways to measure SEO success than simply looking at rankings. The goal is to unravel the mindset of your target audience. This means understanding their motivations and search behaviors. Is Your Website Designed to Convert? If your chiropractic website is gaining web traffic, then you know you have an audience; however, if it’s not qualified traffic and you’re not sending them to an optimized site, it won’t translate into any new patients. Pages per visit: If visitors are navigating multiple pages, it shows they likely have an interest in your practice. Time on site: The more time visitors spend on your site, the more actively engaged they are. Bounce rate: If your bounce rate is high, this means visitors are quickly leaving your site after visiting only a single page. These elements help you to understand the quality of your website visitors. If people are quickly exiting your site, then you’re ranking for the wrong keywords. Furthermore, poor engagement may be an indicator that your website isn’t set up to convert new patients. Sure, you want your practice website to look nice. But you also want it strategically constructed to bring new patients through your office doors. And compelling, persuasive content is one of the most important factors for getting new patients online. See how balancing art and science can help your website generate new patients through an effective chiropractic website design.